A stye, also spelled “sty,” is a red, painful bump that forms near the edge of the eyelid. It may look like a pimple or small abscess, and it may be on the inside or outside of the eyelid. A stye is actually a localized infection that will often disappear by itself after a few days, although it can lead to a serious infection called cellulitis in rare cases. If your stye has not resolved on its own after a couple of days, get in touch with your eye care provider for a full evaluation. A stye often is often caused by a combination of overabundant bacteria and a clogged oil gland. These bacteria usually live naturally on the surface of the skin without causing harm, but they can get out of control if the conditions become just right. 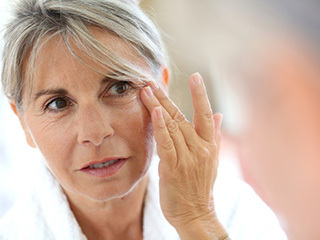 Poor hygiene, for example, can transfer bacteria to your eyelids, and chronic inflammation can result in irritation and encourage bacteria to multiply. Your eye care provider will usually diagnose a stye by looking at your eyelid. He or she may use a magnifying device and light for a more thorough examination. In most cases, no treatment is necessary for a stye; it will go away by itself. If you feel pain or discomfort, you can alleviate it by gently applying a warm washcloth to your eyelid. If the stye persists, however, your eye doctor may prescribe antibiotics. If a stye becomes filled with pus, it may be drained surgically to relieve pressure and pain.